Just like traditional swimming pools, hot tubs can be a source of joy and the perfect gathering place for friends and family. What some people may not realize is this often referred as “luxury product” provides health benefits that can optimize your quality of life. Though it’s not a complete guaranteed to cure any ailments, warm water immersion has been proven to ease symptoms and improving health. Warm water immersion has the same effect as a hot pack on a sore muscle. The benefit from a hot tub is that it applies heat throughout your body instead of focusing on a single muscle group at a time. Hot tub jets act as a pinpoint massager that will apply pressure directly onto affected areas. Buoyancy allows free movement of joints without weight or pressure. The body weighs 90% less when submerged which means that joints and will be able to move freely without the pain related from arthritis. Blood vessels dilate from the heat of a hot tub, increasing the flow and pressure of blood throughout the body. Muscle and joint pain is alleviated from the increased oxygen and enzymes delivered to the site of the ache. Relaxing in a hot tub an hour to two hours before bedtime causes improved sleep. Your muscles will relax, and your mind will clear as the sound of trickling water prepares you for deep rest. the family hub. We don’t communicate directly with each other anymore our contact is done via texting or direct messaging even among family members that live in the house together. Reviving the art of conversation can be done by spending quality time together and designating a time to meet and relax in your Cal Spas hot tub. It can become a gathering place to create new family memories and have meaningful family discussions. Cal Spas offers a variety of hot tubs in different sizes and and price points to fit any lifestyle and any budget. 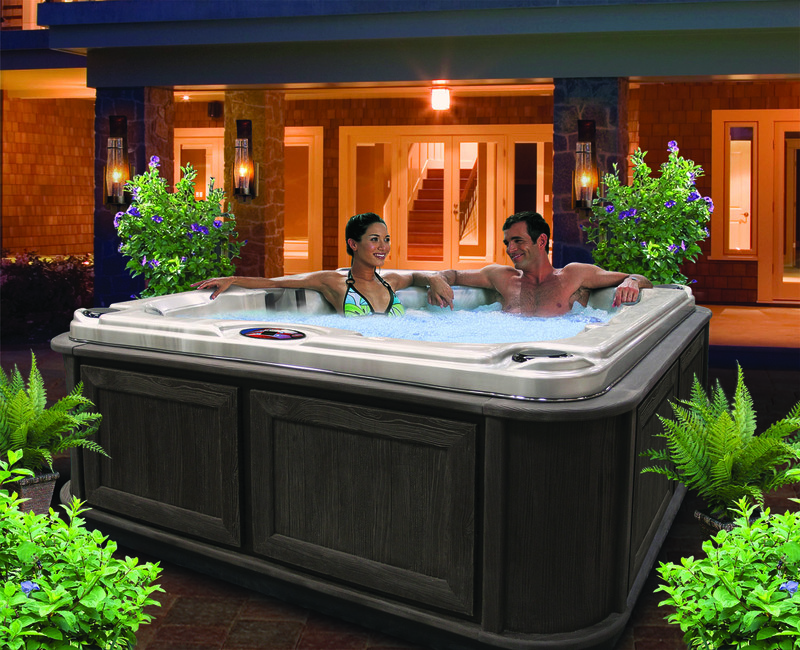 Experience the ease and convenience of having a hot tub in your home with Cal Spas.